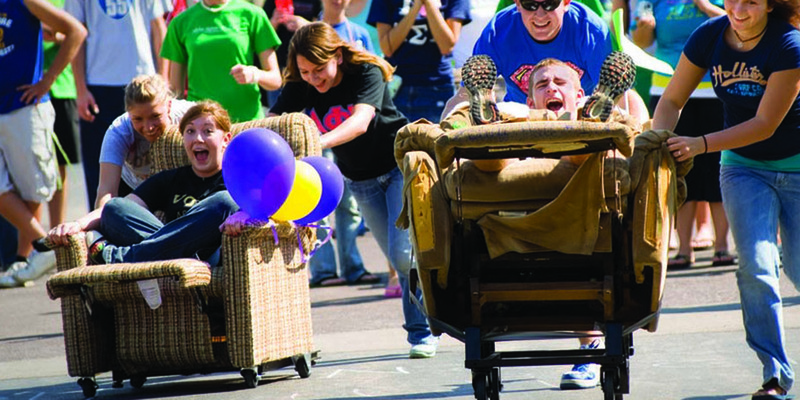 Homecoming consists of on-campus social events held regularly each year, planned and participated in by both alumni and students, celebrating the past, present and future of Southern Illinois University Edwardsville. SIUE homecoming began in 1957 and has changed through the years – from a traditional parade, bonfire and dance in the ’60s to today’s golf cart parade and chili cook-off. Some traditions remain the same. We still honor a homecoming court and gather for a pre-game celebration to show our school spirit for the Cougars. This photo slideshow shows how SIUE homecoming has evolved and changed over the years. If you have any homecoming photos you would like to share please send them with a caption to homecoming@siue.edu.